Email is one of the most important tools an educational institution has at its disposal. Not only does it help you communicate directly with students, alumni, and professors, but it’s also an excellent opportunity for marketing. Educational institutions can reach out to former students for donations, prospective students for enrollment, and potential donors for charitable events. Educational institutions tend to have large, cumbersome email lists. Some of these accounts may have been abandoned by former students long ago; others may be for now defunct vendors. Paring down your organization’s email lists may make them appear to be smaller, but it makes them more valuable. The larger percentage of active accounts on a list, the higher the potential for engagement. Having large, inactive lists will only consume resources and make it appear as though engagement is lower than it actually is. Make it easy for someone to opt out of emails. Of course, current students and faculty cannot but alumni, vendors, and donors should be able to. If someone truly wants to opt out of the email list, they aren’t likely to engage. If they aren’t able to opt out, they may instead opt for marking your emails as spam, which could hurt future deliverability. Continue to aggressively acquire new contacts. Whether you’re purchasing curated email lists or simply funneling prospective students and teachers to your organization’s newsletter, it’s important to always be acquiring new contacts for your campaign. Once contacts have been created, leads can be generated. Whether they’re alumni or donors, most people follow educational institutions to keep current on events and community news. By providing the content that they’re most interested in, you can encourage them to open and read your emails and continue engaging with your institution. Community updates, course information, event highlights, and local news are all an excellent way to add value to your email marketing. Once a relationship has been built, direct advertising such as asking for donations for fundraisers will be more effective. Frequency. Educational institutions can often get away with fairly frequent messaging, as they are not in a “high risk” industry and are generally less prone to trigger spam filters. Nevertheless, recipients may decide to drop a newsletter if it’s too frequent. Most educational institutions shouldn’t exceed one email per day per recipient, and they should try to remain on a consistent schedule. Volume. Educational institutions contact a lot of individuals, and this means that they may run into Salesforce daily email limits. Services such as MassMailer.io make it easy to get around these limitations, letting you send la3rge volumes of email at once. Size. Apart from per day Salesforce email limits, there are also some other forms of Salesforce email limitations, such as the actual volume of data that you’re allowed to send. Salesforce requires that attachments be under a certain size; you’ll need a service like MassMailer if you want to send larger files. You can begin email marketing for Salesforce and completely integrate your Salesforce campaigns with third-party add-ons and tools. These tools make it easier to avoid any potential limits while still taking advantage of Salesforce email tracking and analytics. For an educational institution, email marketing is all about making a connection and keeping relevant. As long as you can keep your clients interested, you’ll have a valuable resource that you can reach out to when fundraising, running events, and finding new students. 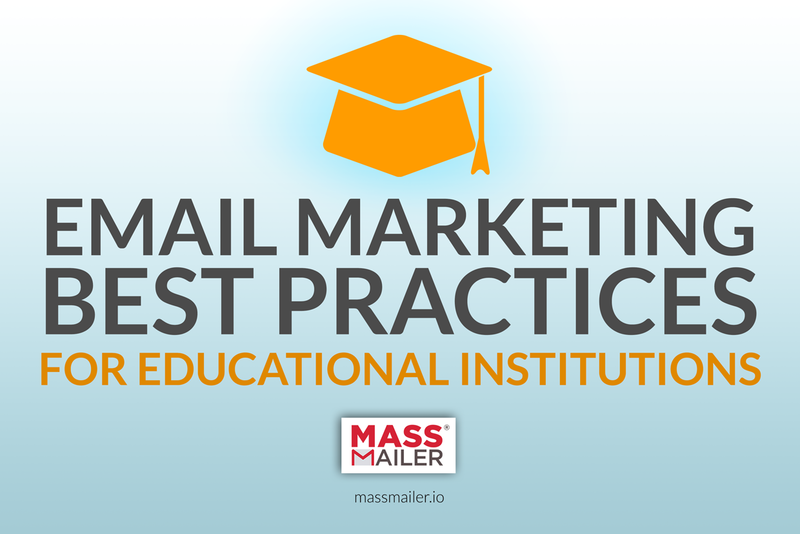 For more information about running an email marketing campaign (and to get started with your educational marketing plan), contact the experts at MassMailer.io.